Big Almaty Lake and the Observatory. Description of beautiful place for tours and excursions in Kazakhstan. The Big Almaty gorge is a leisure destination that is very popular with the Almaty citizens. The gorge is much larger than the other ones located near Almaty. 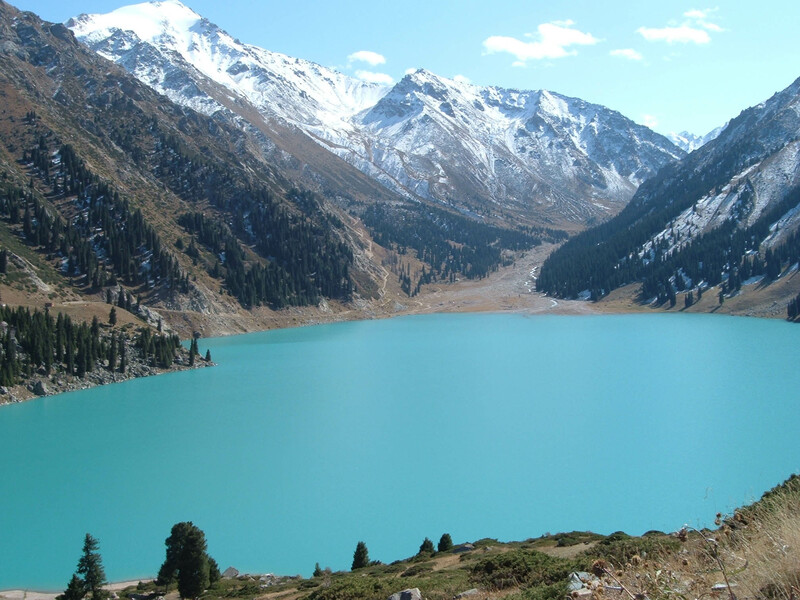 Another attraction is the unique Big Almaty lake located at the height of 2500 meters above the sea level. The Big Almaty gorge air is always a bit cooler than the air in other gorges and this is because of the low temperature of the lake. The sceneries on the way to the lake are not less breathtaking than the lake itself. 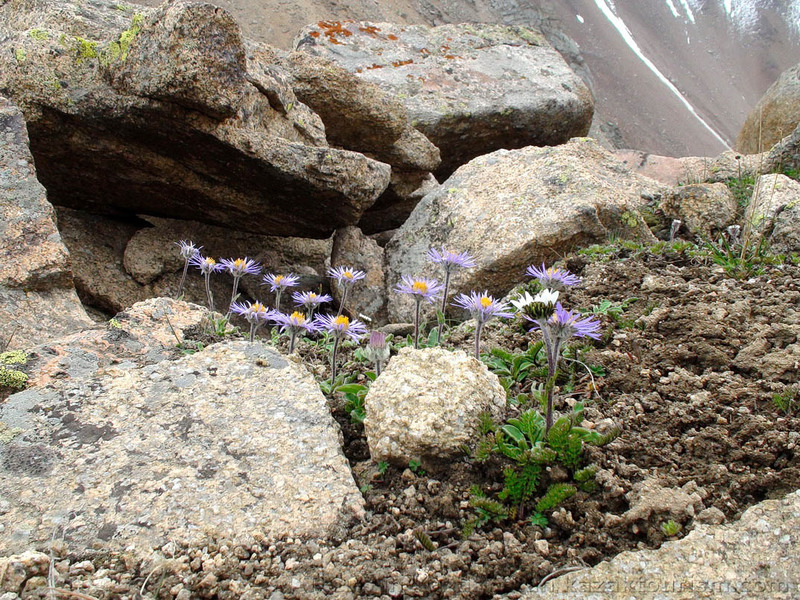 The natural beauty of the Zailiysky Alatau is very special. Driving up the gorge road you will pass a lot of cafés and restaurants placed on the both sides of the way. Passing the protecting dam and the ecological controlling station you enter the National nature park.Near the station there is a falcon farm, where the ornithologist rear the raptorial birds endangered in the wild. This place is worth visiting, but it is better to take an extra tour to this place. On the left there is another interesting gorge along the Kazachka river. This road goes up to the hotel and restaurant complex Kum Bel and then continues as a very popular mountain path going to Kok Zhailau.Our way to the Big Almaty lake goes up the wide valley along the Big Almaty river. On the left side of the road you will see many rocks left by a violent mud flow in 1977. The mud flow did not reach the town – it has lost the power because of the width of the mountain pass. Some bridges, buildings and the road were destroyed; the territory of the river valley was covered with mud and stones. Later the road was rebuilt and the currently existing protecting dam was constructed.The valley road changes to the serpentine road that sometimes rises quite precipitously. 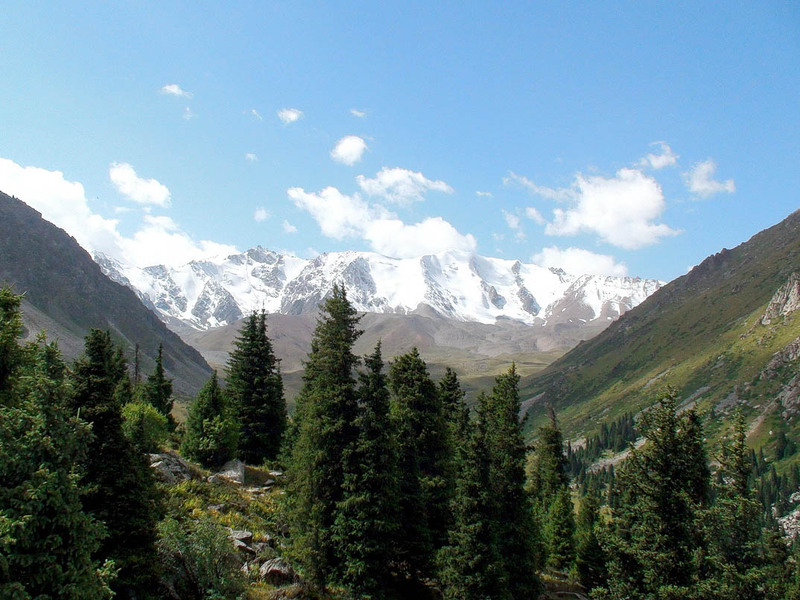 You will admire the high Tien-Shan fir trees on the northern slopes of the pass. The southern slopes are covered with some bushes, but there is no wood. However, there is a picturesque birch grove. The road was rebuilt in 2009-2010, so the trip is quite comfortable. On the way you pass the Alma-Arasan gorge on your right. Another place well-known to Almaty citizens is the Ayu-Sai gorge, literally "Bear gorge”. There were some brown bears until the 1950. The road construction and other noises of civilization made them move to other location that is much more peaceful. Now you can meet these animals only in the Talgar natural reserve.The road goes up and the scenery changes. On the slopes there are many huge rocks fleeced with moss – these are the ancient morainic ridges that were moved a long time ago to create huge mountain folds. The scientists claim that there was a violent earthquake here more than 2000 years ago that moved the mountains. The natural dam was created as a result of this earthquake and stopped the water flow. The giant 38 metres deep reservoir was filled up with pure water of the mountain river. The water temperature does not rise above 12 degrees Celsius even in the hot summer days.There are some small hydroelectric power stations that use the outflowing sea water for generation of electricity.The natural dam war reinforced and built over artificially, so that the maximum depth of the lake is 50 meters when the water fills it up completely. 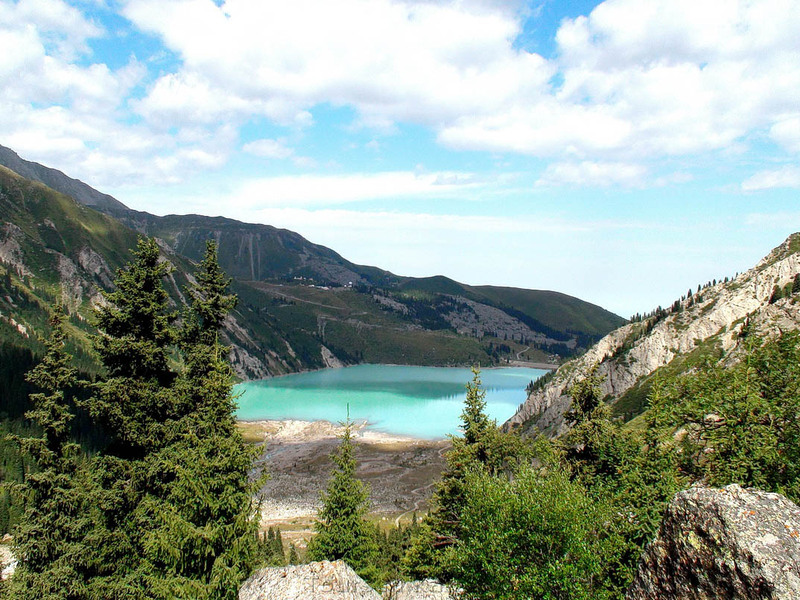 The lake water is used both for the movement of the power station turbines and for the needs of Almaty city.You will see the most fascinating view of the emerald-green-lake from the surrounding mountains. The colour of the lake becomes more saturated at the end of summer and at the beginning of autumn. The water is pure and clear in this time period. The lake is surrounded by mountain tops 4000 metres high covered by white glaciers. When it is silent you can hear the roaring of the Ozernaya river (Lake-river) that flows into the western part of the lake.Along the lake there is a road through the Ozernyi mountain pass to the Chon-Kemin river. For many years it is a starting point of the walking tours to the Issyk Kul lake in Kirgizstan. The height is 2600 metres above the sea level. Here you can get out of your vehicle and walk further. In about 20 minutes you will see the building of the Tyan-Shan Astronomic Observatory named after Fesenkov V.G.This scientific station was created in 1957 and first it was a department of the Moscow State University. But in 1962 it became the permanent observing station. There are only three places on our planet Earth where the sky is open so wide: Andes, Pyrenees and the Zailiyskiy Alatau. So the sky objects can be observed practically all year. 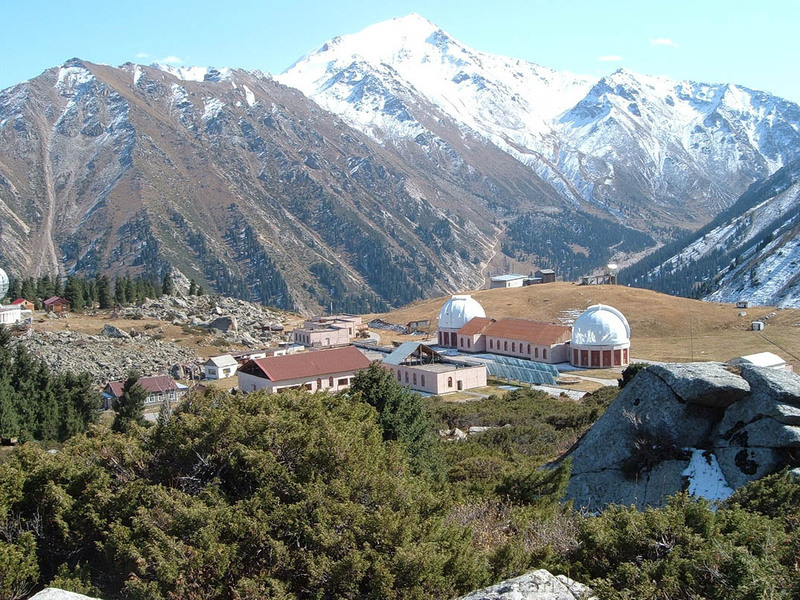 The Almaty citizens enjoy the 85 % of the sunny days per year, so that the inhabitants of the north may be jealous of them.The road keeps going to the height of 3330 metres to the Zhyssaly Kezen mountain pass. There is another scientific station - the Cosmostation (Station for Researches of Cosmic Rays). At this equipped station (there are some underground laboratories as well) the physical scientists study the cosmic particles. The scientists of the Cosmostation have made some scientific discoveries in physics.A bit higher than the Cosmostation there are almost no trees, there is the alpine meadow zone. There are some particular fir trees on the northern slopes. However, the local fir trees grow at the height of 2700 -2800 metres, though the wood zone in Europe ends at 1900 metres. The local mountains are generally 1000 metres higher than the Middle Alps. There are some amazing meadows full of edelweiss and deep blue bells called Gentiana – and these spectacular sceneries are at the height of 2800 – you will not find the same sceneries in Europe! 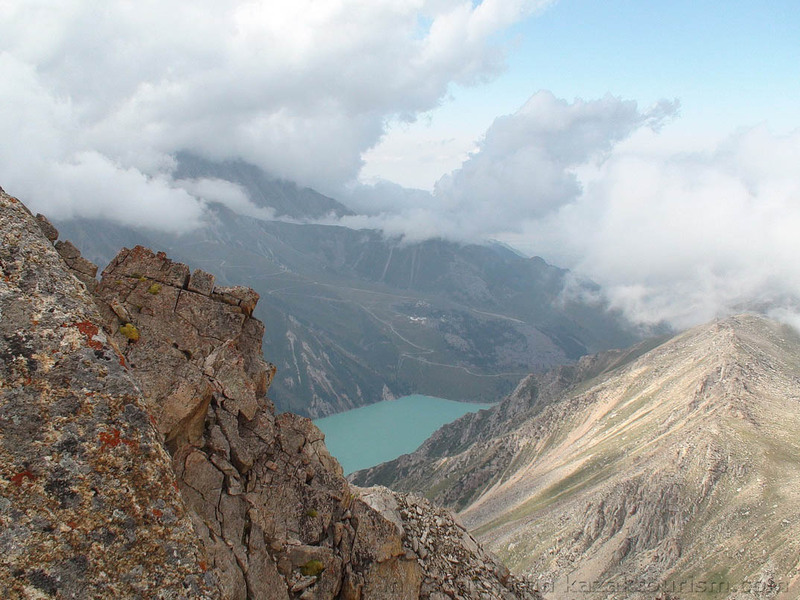 The Alma-Arasan gorge is the favorite place of resort for Almaty citizens and for the guests of the city. So do not miss the possibility to admire its fantastic sceneries of this place.